Today I have read Joan Didion for the first time. I have read her most recent work: Blue Nights, a memoir. Even if this is a book on loss and sorrows, and also on getting old, it was a truly beautiful story to read. The text has a kind of rhythmic repetition which gives it some very interesting poetic qualities. It seems almost as if Didion repeat her sentences in lack of words, or the RIGHT words, indicating that this, what she is trying to tell us, is actually impossible to formulate. Welcome to Joan Didion! I am a longtime fan and am thinking my first read of her work was The Book of Common Prayer. Her minimalist prose, her use of repetition is among the best, I think. In her “Why I Write” essay she talks about the arrangement of words. Hope you read more Didion; don’t think you’ll be disappointed. Enjoy your posts. Most libraries carry all of her work. A few years ago, she wrote The Year of Magical Thinking, memoir about the death of her husband. 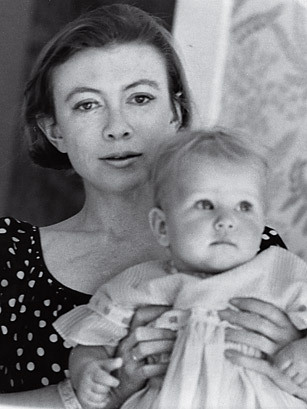 With Didion, I don’t think it matters where you start, as her style is consistent. But because you asked, try The Book of Common Prayer (novel), which is not religious in any way, although I once found it in a used bookstore on the same shelf with the Bible. I bought it as a rescue project. Enjoy! I haven’t read her works, but I hear she is an amazing writer. My knowledge of her is still very limited, but I will definitively read more! I had this in my hand two days ago but since I already have The Yera of magical Thinking and still not read it, I will wait. I like what you write abou rhythmic repetition. There are so many ways to express meaning. Hope you will enjoy her writing as I did! I just heard a radio interview with Didion and one thing she mentioned was quite interesting to me. Each night, when she has finished writing, she will re-read the whole manuscript. She says it helps her to begin again, the next day. I like her work very much. Her ‘spareness” or economy of language works because she still manages to be descriptive (she is a keen observer) and expressive, and she notices without judging–a journalistic trait. I enjoyed Slouching Toward Bethlehem and have read it several times; I found The Year of Magical Thinking completely heartbreaking, though some readers I know criticized it as seeming “too distant” from her grief. That was not the impression I received at all. I like her non-fiction better than her fiction, but Book of Common Prayer is worth a read. As a reader for whom English is not a first language, your respond to her concise, journalistic but poetic style interests me (a reader for whom English is a first language).